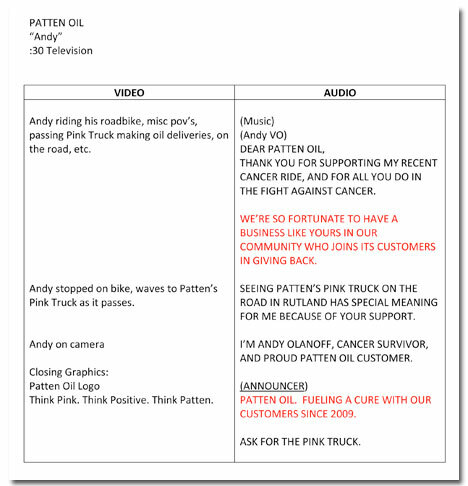 :30 Television commercial script development. 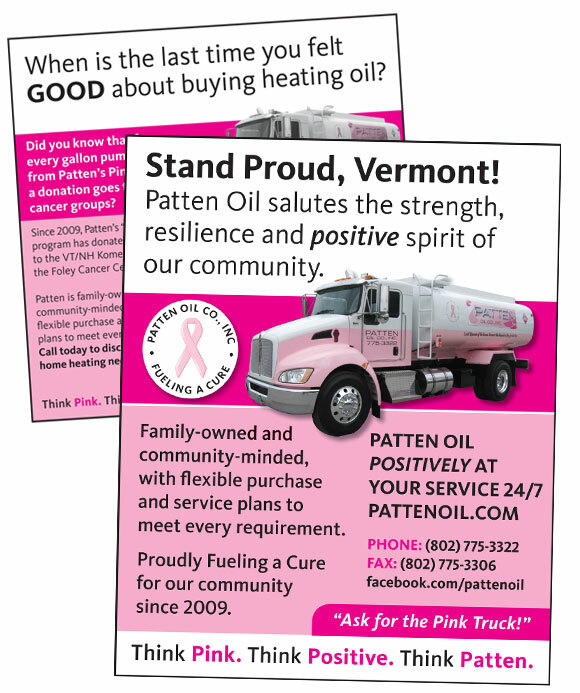 Marketing campaign and advertisements for THINK PINK. THINK POSITIVE. THINK PATTEN.